Abstract—3D scans are usually stored as range images or point clouds, which are inconvenient to be utilized in common graphics pipelines. Therefore non-rigid registration is required to convert the scans into triangulated 3D models. Traditional non-rigid registration methods deform and register a topologystable template to approximate the point cloud without considering the complexity of the scanned object, this will lead to bad registration or redundancies in the results, especially for 3D dynamic, densely-sampled facial scans with a large number of degrees of freedom. To address this problem, in this paper we propose a new topology-adaptive non-rigid registration method for 3D facial scans. Our method avoids the drawback of traditional methods by combining the advantages of nonrigid registration and mesh subdivision/simplification. It reduces the redundancy of registered results effectively and guarantees the accuracy of registration by adding or removing triangles of template models. We introduce of the working principle of our method, then evaluate our technique with a variety of models, and finally give a quantitative analysis of the registration results. Index Terms—Non-rigid, topology-adaptive, registration, facial scans. The authors are with the State Key Laboratory of Virtual Reality Technology and Systems, Beihang University. 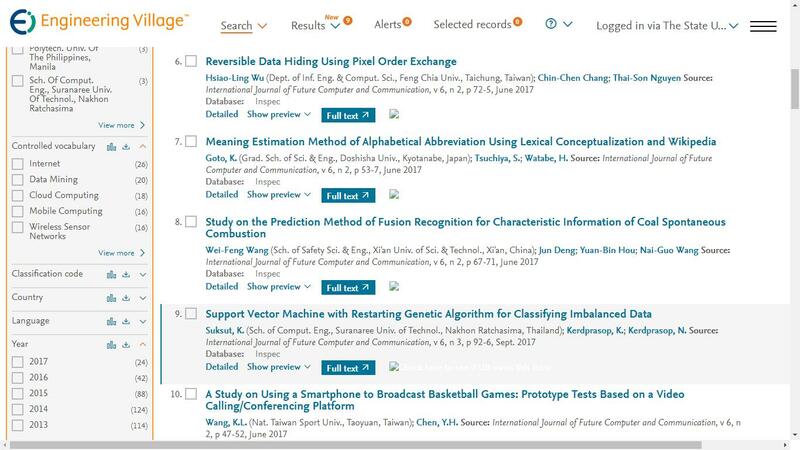 Cite: Yujian Gao, Shuai Li, Aimin Hao, and Qinping Zhao, "Topology-Adaptive Non-Rigid Registration for 3D Facial Scans," International Journal of Future Computer and Communication vol. 1, no. 3, pp. 292-295, 2012.